This CNC O.D. grinder, available in both plain head (GP-34FII) and angle head (GA-34FII), can perform center work and optional chuck work operations, straight plunge, multi-plunge, cylindrical traverse, face plunge and tapered traverse grinding operations, and taper, arc and complicated form grinding. 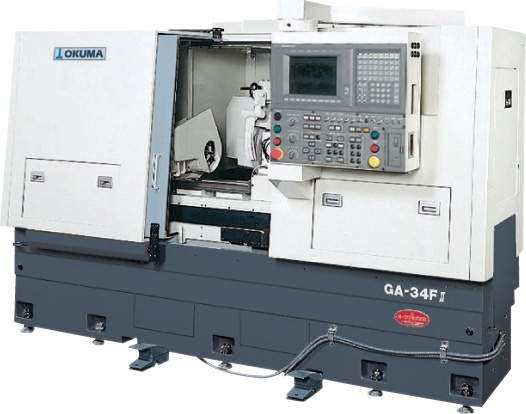 This grinder can perform simultaneous 2-axis control using the Okuma OSP control and is very adaptable in handling many workpiece shapes in a simple data setting. Watch a GA/GP-T Series grinder in action.